Sit, relax, and enjoy time at the beach or while fishing with a folding beach chair. The unique beach chair cart stores up to 50 lbs of gear and accessories in the seat area for transporting items such as coolers, umbrellas, chairs, towels, and fishing gear to the destination without a fuss. Includes a padded soft grip handle, adjustable sun visor canopy, and a rear accessory storage pocket. Once setup, the beach chair has a 250 lb seated capacity. Features large pneumatic tires for traversing sandy beaches or uneven terrain. Easy to use pull-pin knobs fold the beach chair compact for storage and transport in a vehicle trunk or back seat. Requires a little assembly to attach the wheels and wheel axle. Aluminum tube frame with a nylon fabric seat and back-rest. 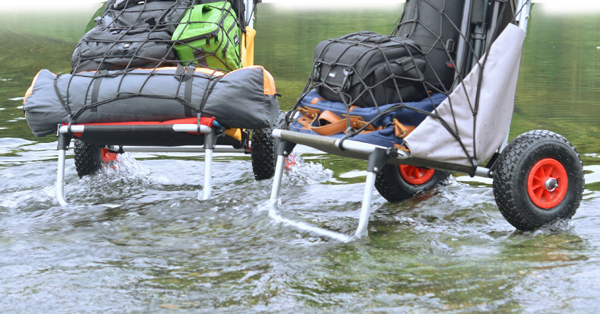 Can be used as a boat dolly, tie-down straps are not included. Looking for ideal Beach Cart Fishing Outdoor Manufacturer & supplier ? We have a wide selection at great prices to help you get creative. All the Beach Cart Fishing are quality guaranteed. 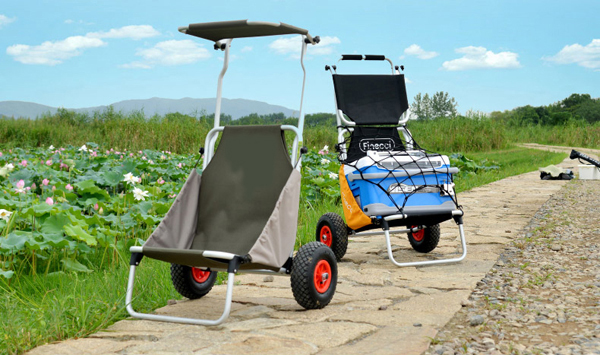 We are China Origin Factory of Beach Cart Outdoor. If you have any question, please feel free to contact us.